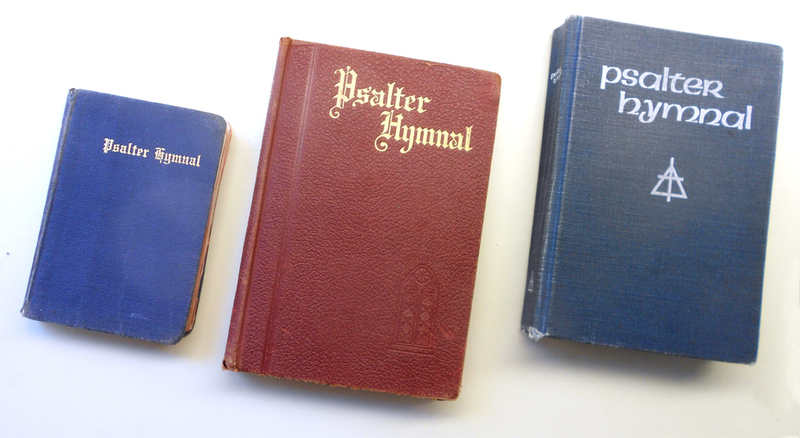 A blog post entitled “15 Reasons Why We Should Still Be Using Hymnals” has been gathering a lot of attention in the Christian blogosphere lately. 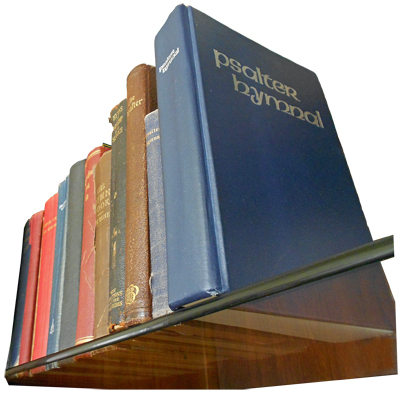 Its author, Jonathan Aigner, presents a list of musical, practical, and symbolic/theological justifications for the continued use of hymnals in modern churches. Most of his musical and practical points revolve around the fact that a hymnal places everything needed for worship in the hands of the congregation, setting an objective standard and showing who the true participants of worship should be. Hymnals don’t require an up-to-date audio-visual system, they aren’t subject to technological glitches, and they don’t distract worshipers with bright colors and animations. These affirmations are a refreshing change from the increasingly stale world of contemporary Christian music. I was most interested, however, in Aigner’s eight points of symbolic/theological relevance and their connection to a Reformed psalm-singing model of worship. 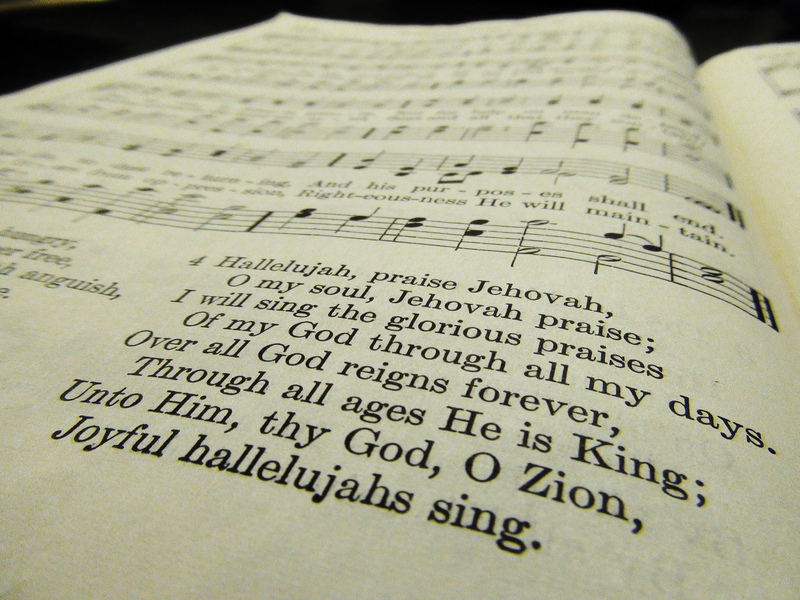 If these are reasons to keep a hymnal, what should be our reasons to keep the psalter? I’ll offer a few thoughts in response to each of the author’s reasons below. If the hymnal is good, this is true. But it’s just as easy to find a theologically bad hymnal as to find a theologically bad set of PowerPoint lyrics. Even the blue Psalter Hymnal contains some lyrics that don’t make it an entirely sound “theological textbook.” The experiential focus of #374 comes to mind, in which God “speaks to me everywhere”; or the lyrics of #478, which seem to confuse America with the new Israel; or especially #379 with its boldfaced Arminian plea, “Lord Jesus, Thou seest I patiently wait.” No, hymnals aren’t reputable repositories of flawless and systematic doctrine, and treating one as a “theological textbook” will likely lead to trouble. A psalter, on the other hand, is a theological textbook. It proclaims the excellencies of God (Psalm 147), the beauty of creation (Psalm 8), the ramifications of the Fall (Psalm 14), the nature of God’s covenant (Psalm 78), the wonder of redemption (Psalm 130), the glory of God’s word (Psalm 119), the kingship of Christ (Psalm 110), and the life everlasting (Psalm 16)—just to mention a few themes of the psalms. And the text of a psalter is from the inspired Word of God itself, so (barring an unfaithful translation) all of its doctrine is true! What more “reliable sources of theological information” could there be? Aigner claims that holding a hymnal “engages you in the activity more than staring at a screen ever could.” To me, the virtue of a physical songbook is not so much in validating engagement but rather in validating authority. In contrast to PowerPoint lyrics that could have been thrown together from any number of sources, a printed songbook holds itself accountable for the source of its contents. In the case of a psalter, that source is the Word of God itself. Screens, as Aigner points out, can easily lose worshipers “in the colors, backgrounds, and movements.” This is a worthy point. Reformed worship has always been characterized by remarkable simplicity (more on that below), and a book containing only the words and notes to be sung powerfully emphasizes that simplicity. 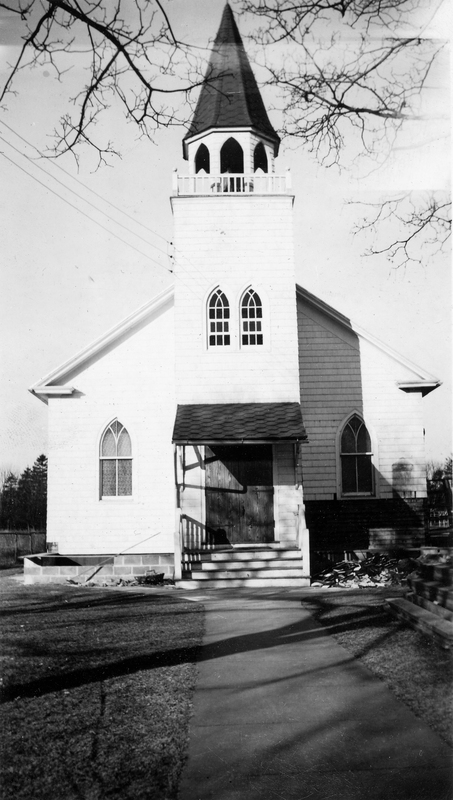 Reformed churches have never focused much on visual beauty or ornate architecture. Our idea of “aesthetics” is governed chiefly by one principle: the centrality in worship of the Word and sacraments. In the sanctuary, these elements of worship are represented by the pulpit, the baptismal font, and the communion table. 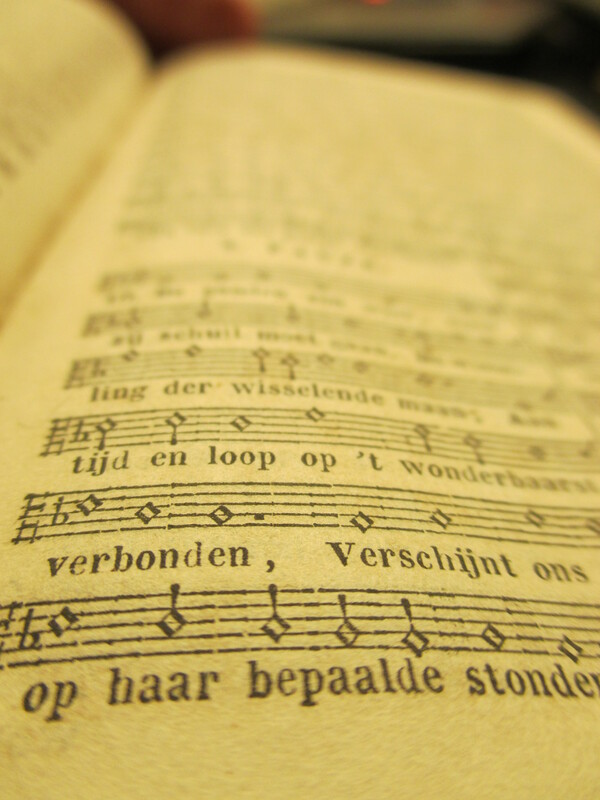 By excluding distracting projection systems, printed songbooks help to preserve the proper focus in the aesthetics of the Reformed sanctuary. However, if our idea of sanctuary aesthetics is contingent on whether or not we see rows of attractive-looking hymnals in the pew backs, we’re starting in the wrong place. Aigner’s point here is that hymnals stretch congregations to learn unfamiliar songs. This is true, and how much more so for the Book of Psalms! Not only does the psalm-singer continually find new, unfamiliar passages as he explores this collection of inspired texts, but he will be confronted by new depth even in familiar passages as the Holy Spirit applies the Word to his heart. 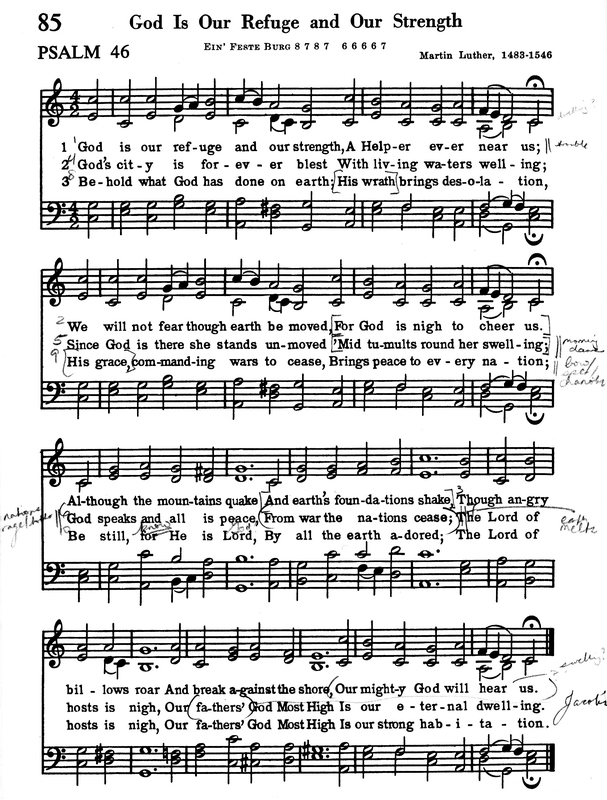 Is a song’s position in a hymnal a good criterion by which to judge its validity? Finding “In the Garden” (to use the author’s whipping-boy) across the page from “How Firm a Foundation” doesn’t give me a higher opinion of it—nor should it. A psalter, however, does validate psalms we might be tempted to skip over—for example, abject laments like Psalm 137 sandwiched between psalms of praise like Psalms 136 and 138. By its composition, a complete psalter reveals a broad spectrum of attitudes of prayer and praise which are appropriate for worship. In contrast to “text on a screen” that “is there one second and gone the next,” “hymnals are symbols of consistency.” True, but hymnals get regular makeovers too. I remember a comment by the CRC and RCA’s new songbook committee to the effect that a typical hymnal has a lifespan of only about 25 years. 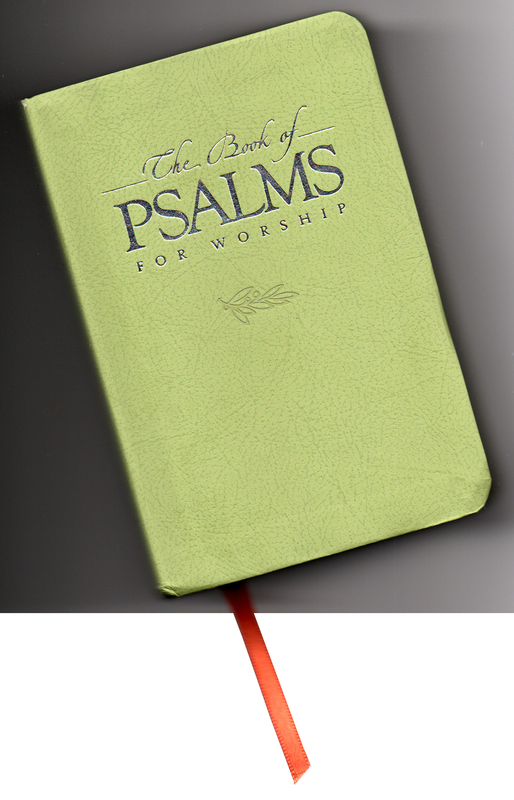 In contrast, the psalms form a complete and unchanging songbook for the worship of God’s people. While psalters, too, need periodic revision to ensure clarity and faithfulness to Scripture, the permanence of their contents far surpasses that of a hymnal. “Holding hymnals symbolizes the fact that the voice of the congregation is the primary instrument in corporate worship,” says Aigner. Amen! Everything about corporate worship, as we’ve been considering in recent posts, revolves around the holy dialogue between God and his people. Congregationally sung, the psalms are an unsurpassable manifestation of that conversation as we sing God’s Word back to him. 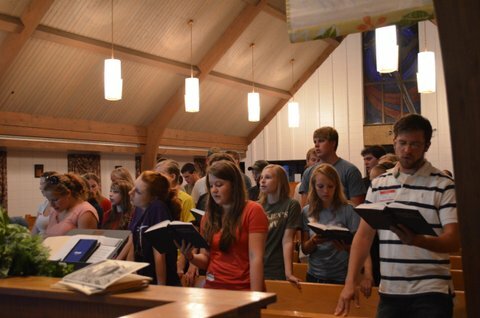 All in all, Aigner says hymnals “are important symbols for worshiping congregations,” chiefly because they set an objective standard for congregational worship while reclaiming it from the control of the projection system or worship team. 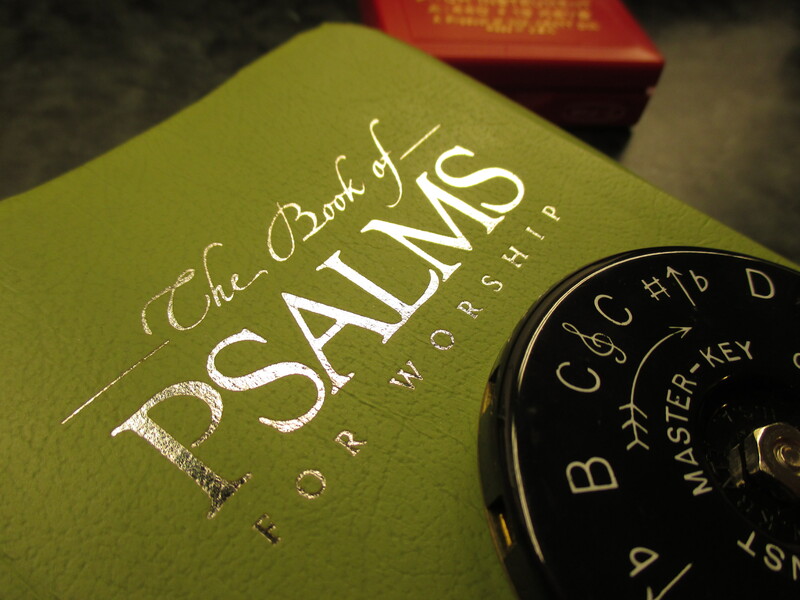 How much more are psalters essential symbols for worshiping congregations! They symbolize our desire to worship God with all our hearts, souls, and minds, in a manner he has commanded, and with the words he has given us.